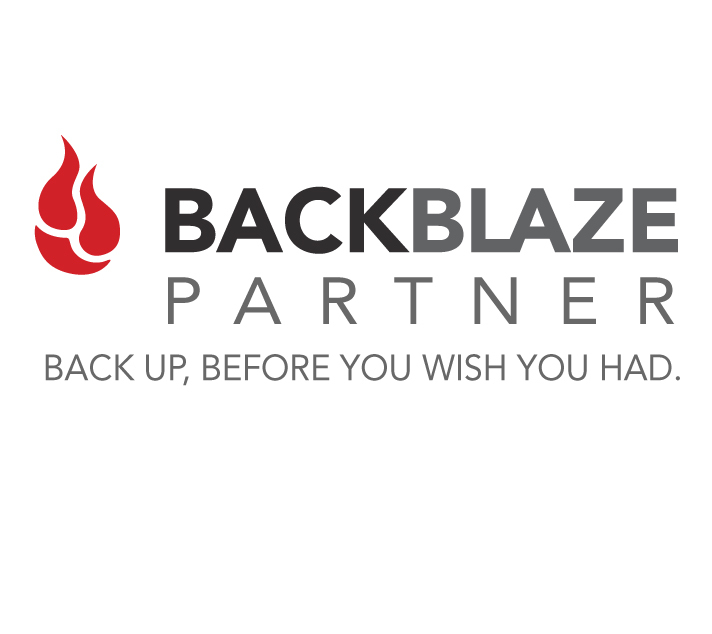 Backblaze Back Up Before You Wish You Had - Sewelltech, Inc.
Backblaze protects your precious files by keeping a copy safely online, in the cloud. It’s hassle-free, easy-to-install, completely secure – and backs up all your important files, no matter how many you’ve got! Backblaze works quietly in the background to protect your files as you use your computer. You don’t need any technical knowledge, and it backs up all of your files – no matter how many you’ve got. You can restore your files at any time with one click. Java is responsible for 91%* of security attacks. Backblaze’s code is native to Mac and PC and doesn’t use Java. We hate using software that slows down our computer, so we wanted to be sensitive to the performance hit on the computer. We did a bunch of amazing magic to optimize the software, including: reading data once, slowly scanning the drive, and waiting a few minutes before backing up at start-up time. The result is that Backblaze uses less than 1% of your CPU and memory on average. Backblaze doesn’t install any drivers and opens any files it backs up as read only so your computer is kept stable. Backblaze also works great running side-by-side with Apple Time Machine for added security. “It’s too expensive” – Backblaze is only $50 per year. The thing people care about the most is pictures. Pictures are moments captured in time that will never happen again. If you lost your pictures, professional data recovery can cost up to $5,000. But the laws of physics always prevail. All drives fail it’s only a matter of when. “I have iCloud” – iCloud does backup the information on your iPhone, including pictures. However, iCloud accounts get hacked and iPhones get stolen. Precious pictures need another method of being backed up. “I have Dropbox” – Dropbox is file synchronization. It’s not backup because it can destroy data on the computer. If you delete something on one device, it deletes it on the other. The free version lets’ you recover files for about 30 days. After day 30, it’s gone forever. It also doesn’t backup everything on the computer – just what’s in Dropbox. “What if Backblaze goes out of business” – Computer companies go out of business all the time. Hard drives also fail all the time. The risk that the client’s computer fails at the same time as Backblaze does is highly unlikely. It’s a risk though. “I already have an external backup or Time Machine” – That’s a good primary backup. I have one of those too. When I accidentally delete something, that’s the place I go to restore data. The advantage of cloud backup is it prevents against a local disaster. What if a thief takes everything near the computer. They don’t say “Oops, this is a backup, better leave that.” The same take-all strategy applies to things like flooding or fire. If you have a lock on the front door, why do you need security systems or insurance? The external hard drive is the lock, Backblaze is that second level of protection.